Nate – I am so excited for this game! I’ve been playing the previous Tomb Raider and I love it. It’s so unbelievably fun/challenging, so I cannot wait to see what this game is all about! This teaser has me hooked. 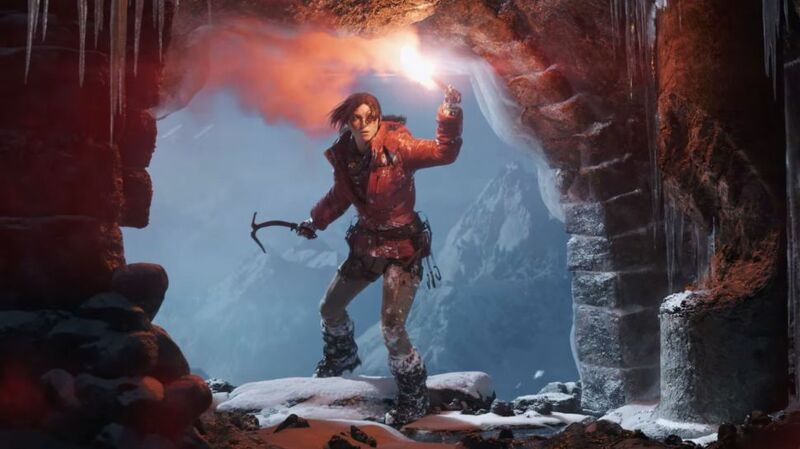 Tim – I have always been a fan of the Tomb Raider franchise and I really loved the most recent reboot. It had a good combination of great platforming, open and explorable environments filled with collectables, and fun combat, especially the stealthy sections. The story was also great (well, until the end when it got a little weird). This title will release as an XBOX One timed exclusive and then we’ll probably see it on PS4 and PC. But since I’m a nerd that buys ALL of the consoles, I’m covered. We’ll learn more about this game during Microsoft’s E3 press conference on June 15. This is one of my most anticipated games of 2015. Nate – So this looks like a sweet remake. I’ve never seen the original Point Break, but I can see this being really enjoyable. The cast seems relatively unknown to me, which is good! I love when little=known people are in movies like this, it make the surprise that much better. So this ‘Utah(n)’ is in! Tim – I first saw this trailer last weekend when I saw San Andreas, so I didn’t know what the trailer was for until the title was revealed at the end. The whole time I was thinking, “This just seems like they’re ripping off Point Break.” Surprise! It is Point Break! The original was so good and so bad at the same time. The concept of an undercover cop working with extreme sports-loving criminals is fun, but the acting and dialogue were so ridiculous. Well, you’ve gotta give this movie some credit for trying to be just as crazy and still just as cheesy as the original. There’s a good chance that this movie is going to be horrible, but I’ll bet the stunt team had a blast.